Study: 24 Million White Americans Have Alt-Right Beliefs. What’s That Mean?A new study suggests that 12 percent of white Americans pass a test for adherence to white identity politics. That’s a lot of people. 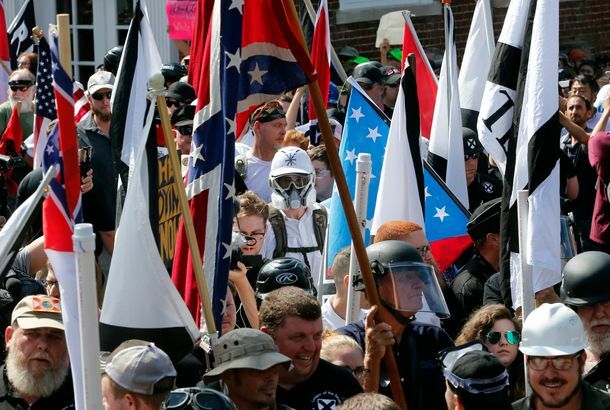 A Year After Charlottesville, Racists to Gather in Trump’s NeighborhoodIt’s probably no accident that the white supremacists are rallying as close to Donald Trump as they can get. Man Who Rammed Crowd at Charlottesville Rally Charged With First-Degree MurderJames Fields could be going to prison for the rest of his life. John Kelly Is As Deluded About the Confederacy As Donald Trump IsThe wise, gray head who is supposed to be restraining Donald Trump seems as reactionary as his boss is on key matters of history and culture. What Donald Trump Did On His First Presidential Vacation▶️ We’ve had the time of our lives, and we owe it all to him. 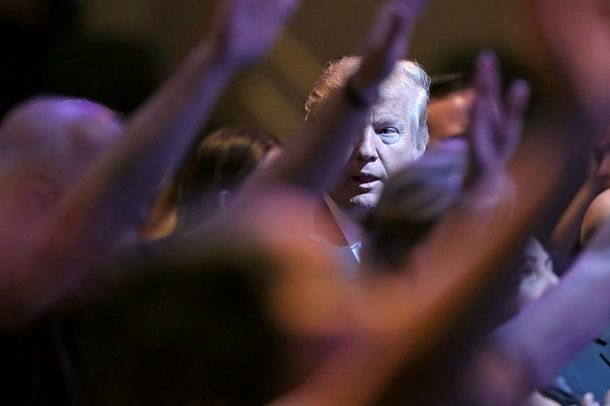 Forgotten Mainline Protestants Challenge Evangelicals to Stand Up to TrumpWhile most conservative evangelical leaders are avid Trump fans or passive enablers, mainline Protestants are urging them to show some independence. 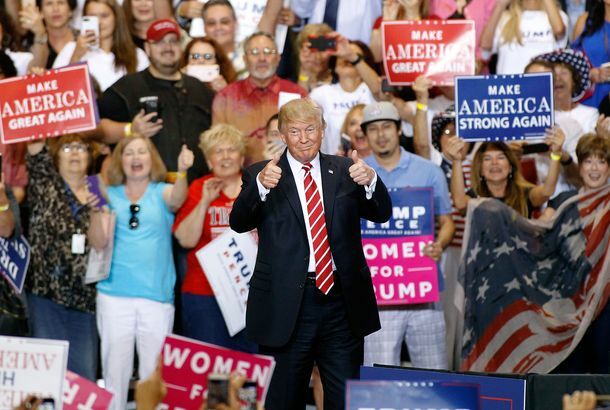 Trump’s Rehash of His Charlottesville Remarks Was Deceitful and Self-DestructiveNobody was surprised the president cut loose at a rally in Phoenix. But he showed he can’t drop his losing argument. The Trump-McConnell Feud Becoming a ‘Cold War’At the worst possible time, relations between the president and the leader of his party in the Senate have become frosty, distant, and even combative. Romney Takes Trump to the Woodshed, Calls for Presidential ApologyThe 2012 GOP nominee unambiguously condemns Trump’s remarks about Charlottesville and calls for an extremely unlikely retraction and apology. 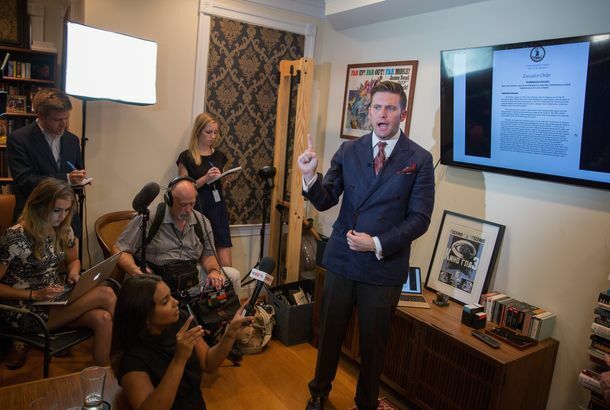 Richard Spencer’s Domestic Press ConferenceSpeaking to the media from the suburban D.C. apartment he calls an office, the white nationalist had some thoughts on the White House. Trump Pondering Pardon for Racial Profiler Joe ArpaioAs he dragged his feet on condemning racist violence this weekend, the president was thinking fondly of the nativist demagogue Joe Arpaio. 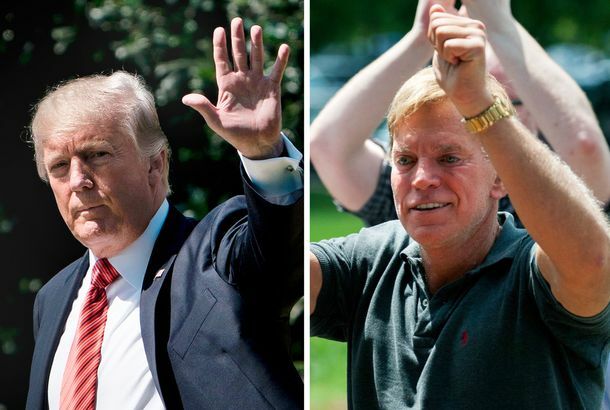 After Blaming ‘Many Sides’ in Charlottesville, Trump Condemns KKK, Neo-NazisIn the White House on Monday, Trump said “racism is evil” and called out white supremacists by name. White Nationalists March on UVA Ahead of Saturday RallyAn inauspicious beginning to the weekend.